Product categories of Frozen Sweet Corn Kernels, we are specialized manufacturers from China, Frozen Sweet Corn Kernels, Super Sweet Corn Kernels suppliers/factory, wholesale high-quality products of Fresh Frozen Sweet Corn Kernels R & D and manufacturing, we have the perfect after-sales service and technical support. Look forward to your cooperation! Sweet corn, also known as sugar corn, is a corn with high sugar content. Unlike field corn varieties harvested in the field when dried and matured, sweet corn is picked at immature (in the milk stage) and prepared and consumed as vegetables rather than grains. Since the sweet corn maturation process involves the conversion of sugar to starch, sweet corn needs to be eaten fresh or canned or frozen before it becomes hard and starchy. 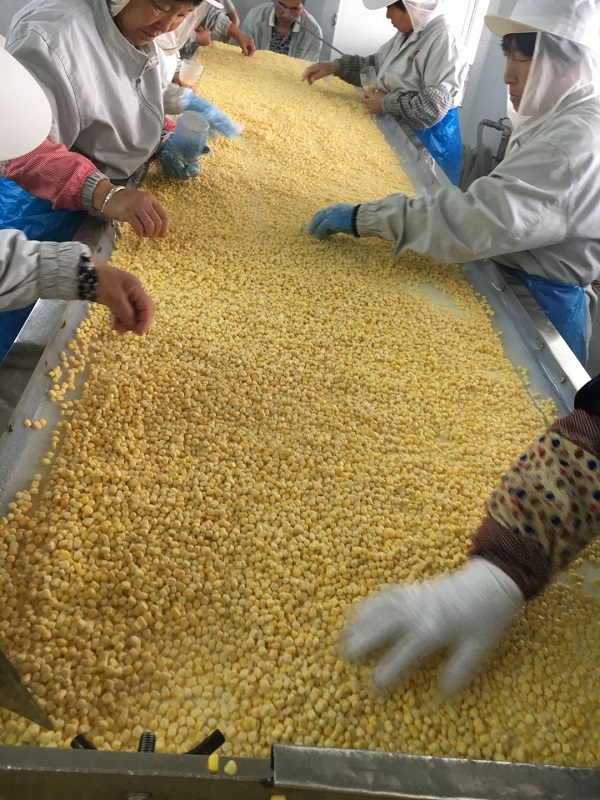 In order to provide a rich taste of sweet corn, we can make IQF sweet corn kernels by shelling and de-maturing sweet corn mature, soft, juicy and smooth corn cobs under the premise of strict hygiene. We can provide good quality and price. The iqf (Imported Quick Frozen) sweet corn is always dedicated to providing the highest quality products to our valued customers.